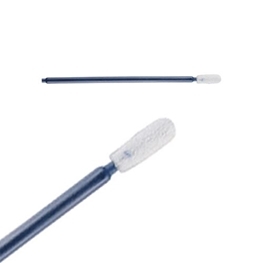 All foam swabs are manufactured with 100 pores per inch reticulated polyurethane foam, which ensures excellent absorbency while minimizing contamination. 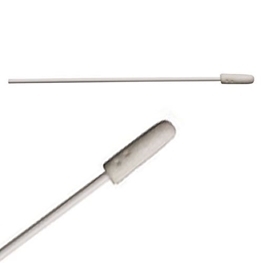 Tips are affixed by heat seal to prevent tip loss, even while saturated with solvent. 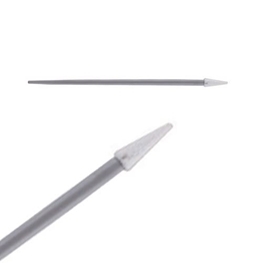 Flexible tips provide versatility and softer touch, while rigid heads allow for more aggressive cleaning. 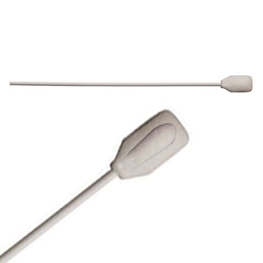 2307 swab had a flexible paddle tip, for a softer touch.